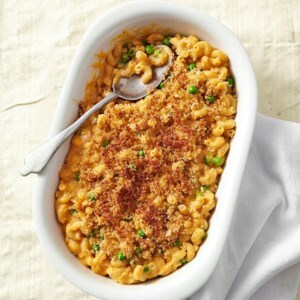 Find healthy, delicious macaroni and cheese recipes, from the food and nutrition experts at EatingWell. 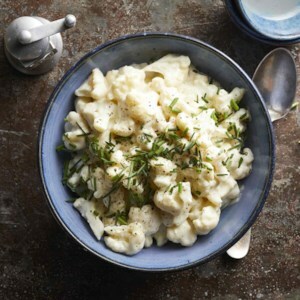 You'll barely notice the cauliflower in this comforting skillet pasta--it's pureed and mixed into the creamy cheese sauce. 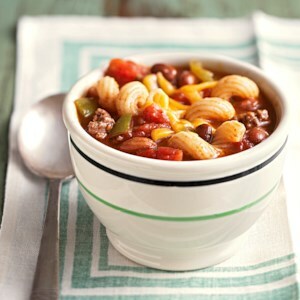 No sneaky ingredients here, just delicious comfort food. 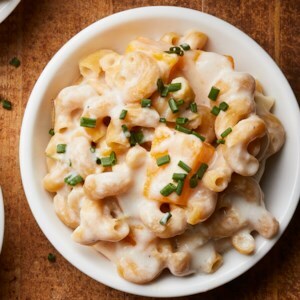 You can enjoy this super-cheesy mac and cheese in the same time it takes to cook the boxed version. 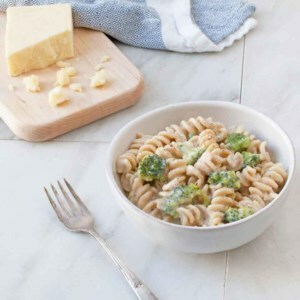 Whole-wheat noodles add fiber, while sharp Cheddar adds richness. 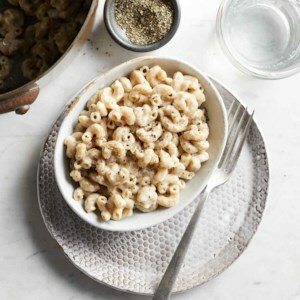 A hefty twist of black pepper balances the cheese's salty tang. 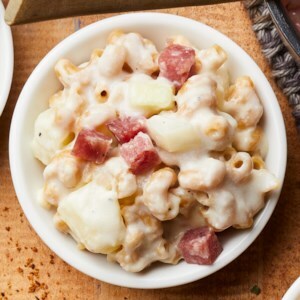 This one-dish meal is a combination of two favorites--hamburgers and macaroni and cheese. 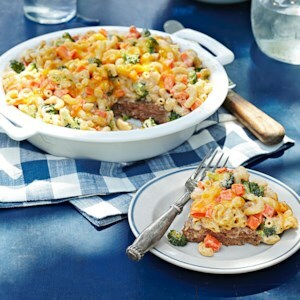 Add in some broccoli and carrots and a creamy cheese sauce and you've got a meal the whole family will appreciate. 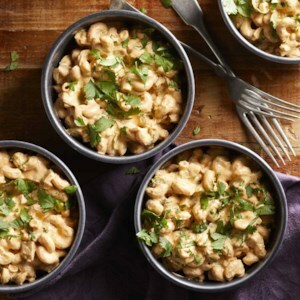 Raw cashews are the base of this velvety smooth sauce. 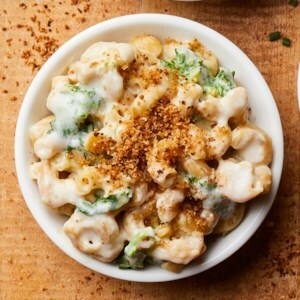 (A high-speed blender will yield you the creamiest results.) 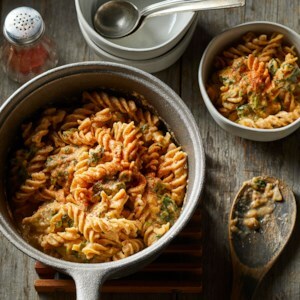 Nutritional yeast and tomato paste provide rich umami flavor to this easy vegan dinner. 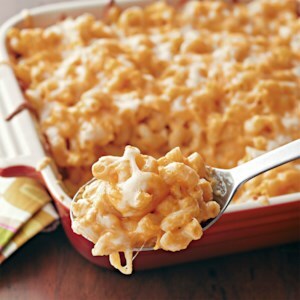 The more cheese the merrier in this baked macaroni recipe, which also features butternut squash and whole-grain pasta. 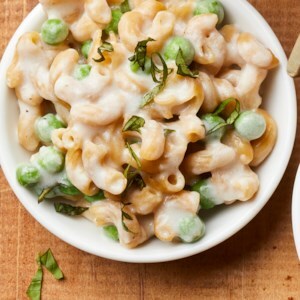 Fresh basil and green peas give this healthy mac and cheese recipe a pretty green hue. 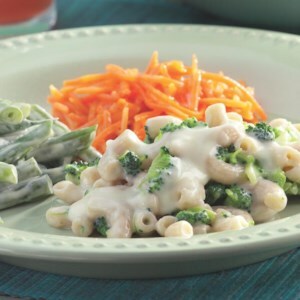 We like the buttery, nutty flavor of fontina, but provolone, Gruyère or Gouda could be used as a substitute. 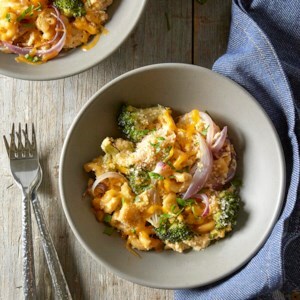 A swirl of prepared pesto gives this healthy mac and cheese recipe instant delicious flavor. 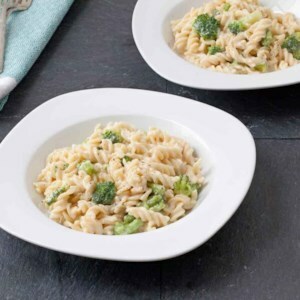 If broccoli rabe is too bitter, try using broccolini or regular broccoli instead. 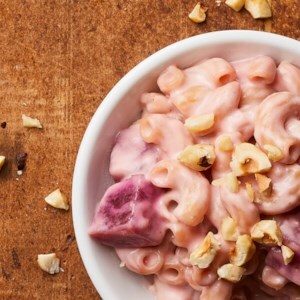 Red beets give this healthy mac and cheese recipe a pink hue. 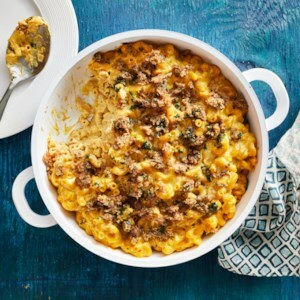 If that's a little too much for you, try using yellow beets instead. 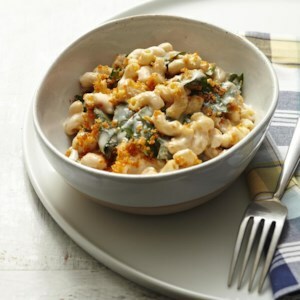 Dark leafy collards add bold flavor and boost the calcium in this healthy skillet mac and cheese recipe with a crispy topping. 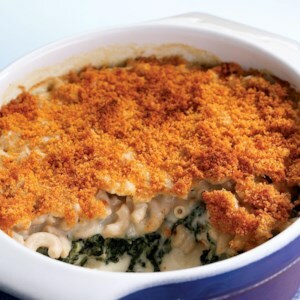 If you don't have collards, kale, Swiss chard and spinach are delicious substitutes.